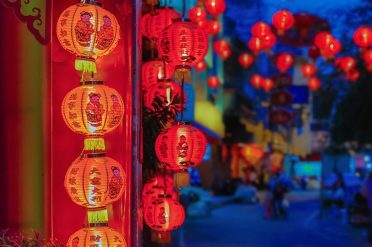 From neon lit skyscrapers to open front shop houses, gourmet restaurants to street-cooked dim sims, Hong Kong is a fascinating city of amazing contrasts. 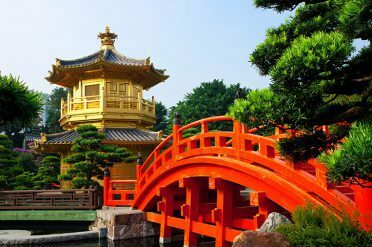 Chinese Culture – bustling street markets, elaborate temples and Tai Chi exercises in the parks show a Chinese way of life little changed in 100 years. 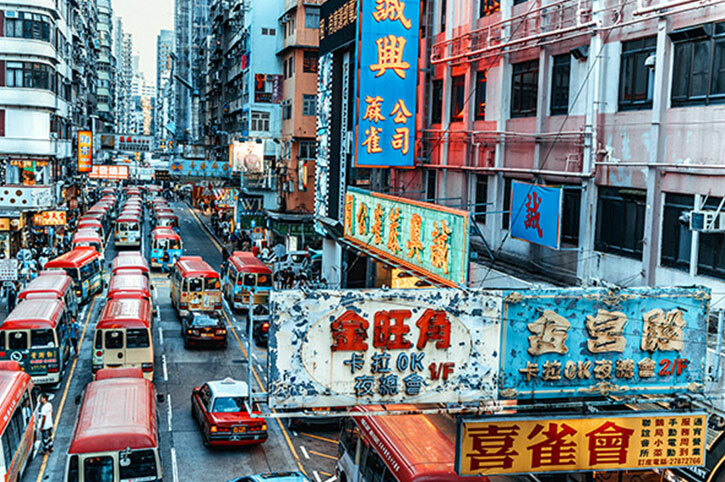 Exploring – ride the heritage trams, the modern metro system or the iconic Star Ferry. There are also fast ferries to many outlying islands and Macau. 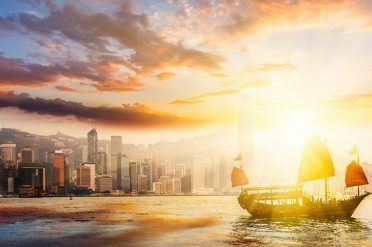 Attractions – the views from Victoria Peak, the free Symphony of Light laser show and even Disneyland – there’s no shortage of things to do in Hong Kong. You can combine Hong Kong with a touring holiday of mainland China or with most other destinations in Asia. Check out our holiday ideas below or design your own. 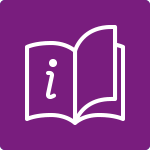 Our Holiday Ideas are our top suggestions but there are hundreds more possibilities. 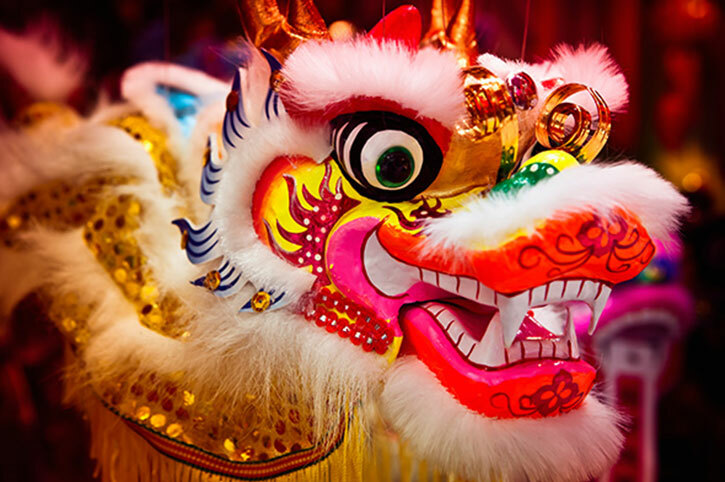 Speak to one of our Asia Experts to include Hong Kong in your holiday to Asia. 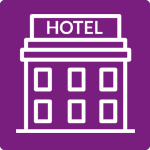 on a day tour or go further afield on an overnight experience. 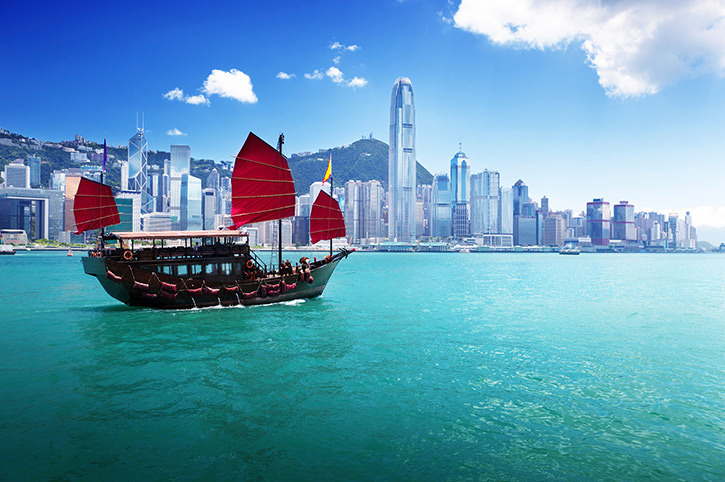 Once an assortment of sleepy fishing villages, Hong Kong grew on trade, attracted by its deep sheltered harbour. 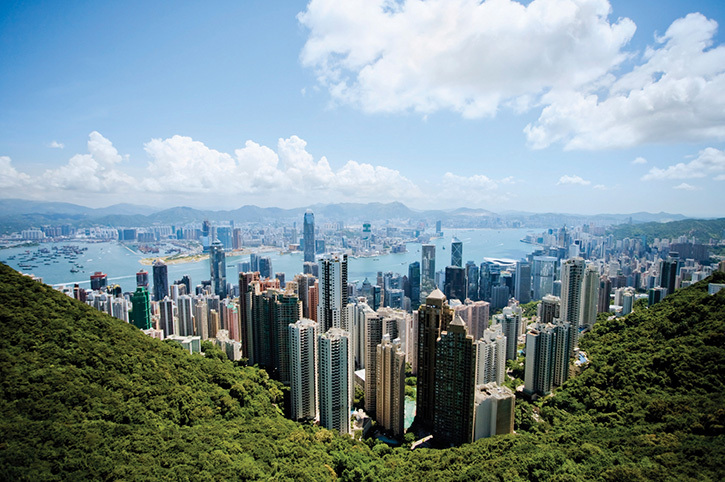 The north shore of Hong Kong Island is the political, financial and entertainment centre of the city. 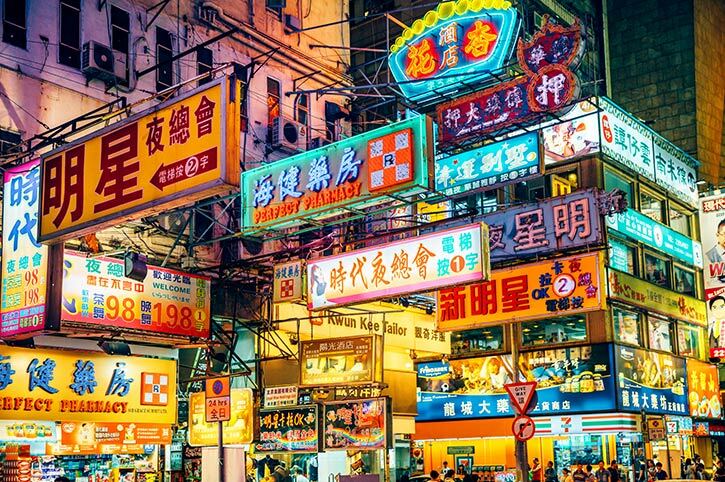 Here you will find the Hong Kong’s swankiest shopping malls around Causeway Bay and its top nights spots with numerous bars and restaurants, around Lan Kwai Fong and SoHo. 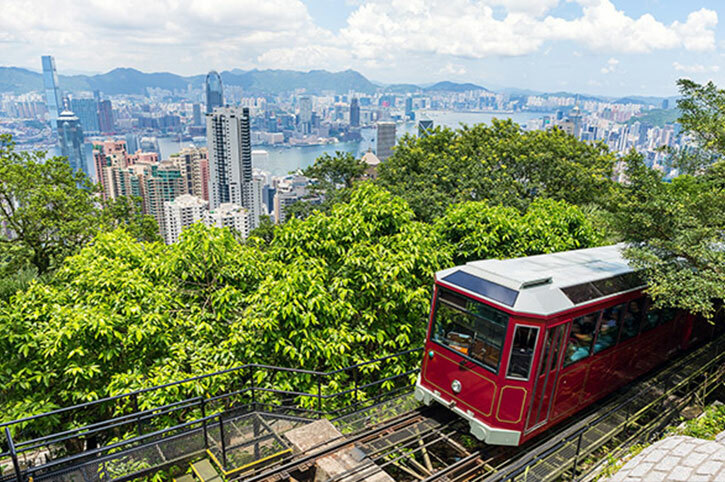 For a panoramic view of the harbour and city, take the delightful funicular railway to the top of Victoria Peak. For a Chinese feast, the famous floating restaurant is at Aberdeen Harbour, whilst at the sleepy seaside village of Stanley on the south coast, you will find the market with its warren of alleyways selling all manner of goods. 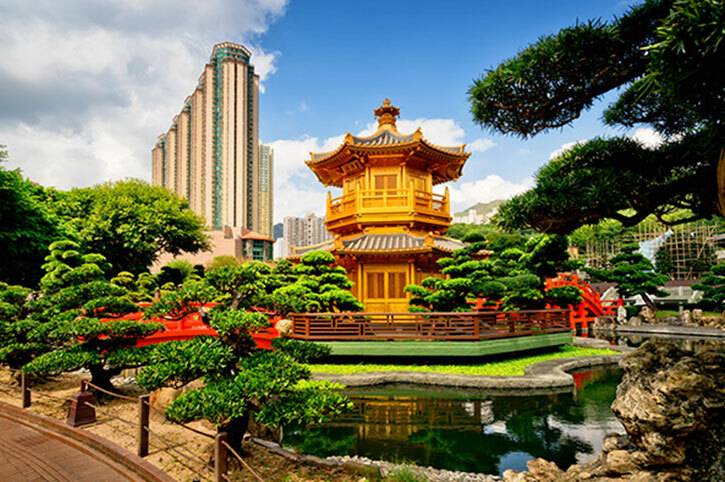 The upmarket residential area of Repulse Bay has a wonderful stretch of sand and is popular with locals and tourists seeking some relaxation. 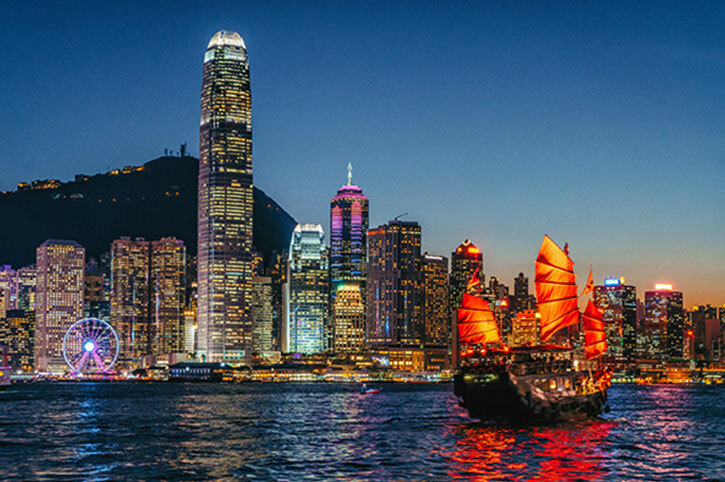 Hong Kong Island is connected to Kowloon by an excellent underground train network, or you can mingle with locals on the iconic Star Ferry as it crosses the magnificent harbour. For shopping and dining, nothing beats the frenetic action of Kowloon’s Golden Mile where modern air conditioned department stores sit side by side with traditional shops. Stroll down Tsim Sha Tsui promenade to the harbour front and you will find Avenue of the Stars paying homage to Hong Kong’s film industry as well as a great viewing point for the magnificent laser and sound show Symphony of Light. Elsewhere in Kowloon there are fascinating markets to explore. 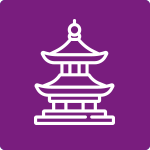 Haggle for jewellery at the Jade Market, have your fortune read at Temple Street or for something authentically Hong Kong, take a stroll through Yuen Po Bird Garden. 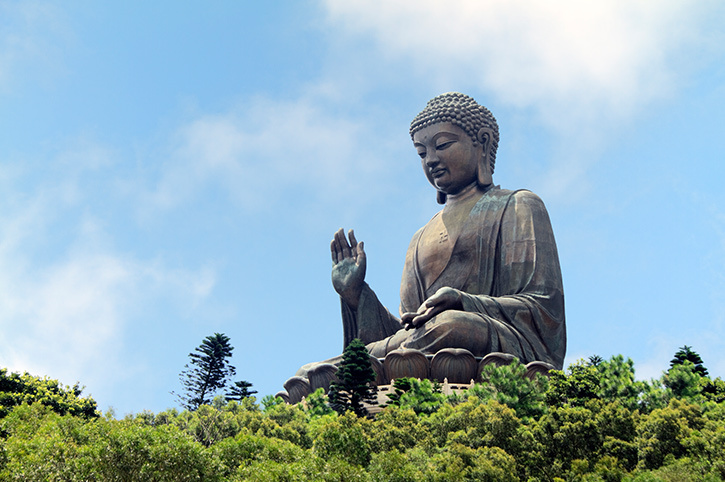 To discover a different side visit Lantau, Hong Kong’s largest island. 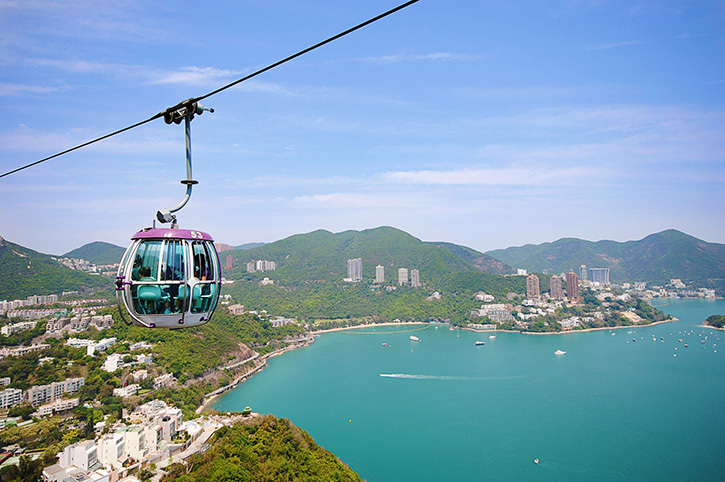 You can take the scenic cable car up to Ngong Ping where you will find the Po Lin Monastery as well as the 85ft high bronze Tian Tan Buddha. There are also quaint fishing villages and superb beaches. 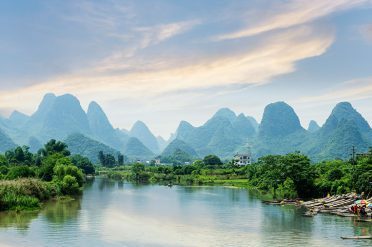 Alternatively, head into the New Territories where you will find scenic hiking trails, ancient walled villages and deserted beaches – a complete contrast to the classic perception of Hong Kong! 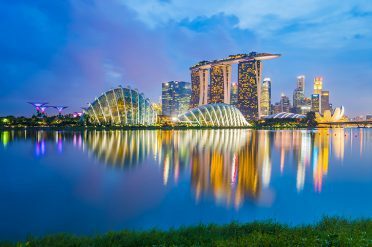 Our Asia Destination Experts have travelled all over South East Asia and can help plan your exciting holiday to Hong Kong and beyond.